At a sun-soaked Lord's, West Indies closed out a deliciously tense victory to become the first team to lift the men's World Cup. Inserted by Ian Chappell, they were in a spot of bother at 50 for 3 when their captain, Clive Lloyd, strolled to the middle. A hooked six off Dennis Lillee set the tone as Lloyd careened to an 82-ball hundred - greased lightning just four years after the advent of ODIs - and led his team to 291 from their 60 overs. Australia were well placed in the chase, but a solid top-order foundation was undermined by three run-outs, each involving a young Viv Richards. At 233 for 9, the result seemed confirmed, only for Lillee and Jeff Thomson to cobble together 41 for the last wicket, before the fifth run-out of the innings sparked a jubilant pitch invasion from the heavily Caribbean crowd. The sheer novelty of the occasion was complemented by a hard-fought tussle between the two best teams in the competition: a match that began at 11am finally concluded at 8.43pm with West Indian supporters flocking across the Lord's outfield. "It might not be termed first-class cricket, but the game has never produced better entertainment in one day," was the verdict of Wisden. 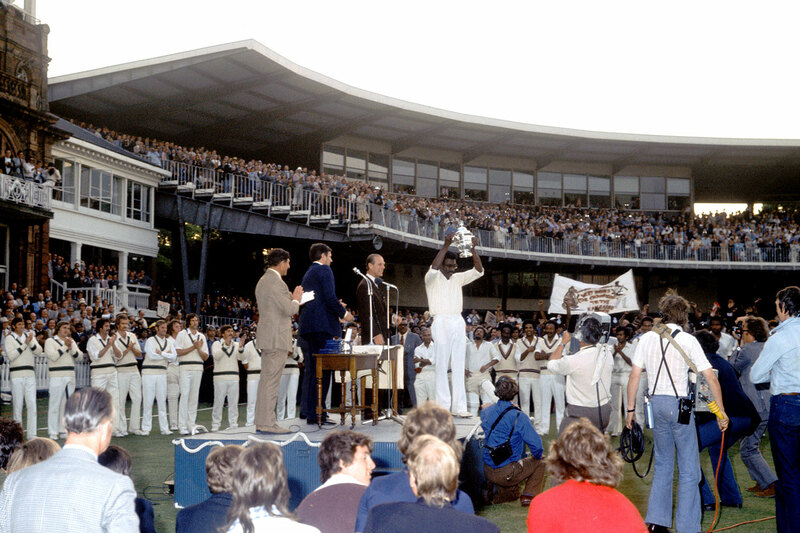 Alongside Lloyd's brutal brilliance and the early signs of Richards' big-game temperament, there were numerous moments to remember: Roy Fredericks stepping on his stumps after hitting Lillee for six; a grey-haired Rohan Kanhai helping Lloyd to add 149 for the fourth wicket; and three pitch invasions in the penultimate over, as the crowd twice jumped the gun. "It was wonderful. The ball came off the middle from the first ball, and as sometimes happens, I suspected it was going to be my day." "Man, haven't you heard of Mr Dickie Bird, the great Test match umpire? This is one of his famous white caps."